Ever wonder about the frequency of your posts and the potency of your blog? Technorati, the search engine and directory has indexed over 1,000,000 blogs and is a recognized authority on the subject of blogs and blogging. 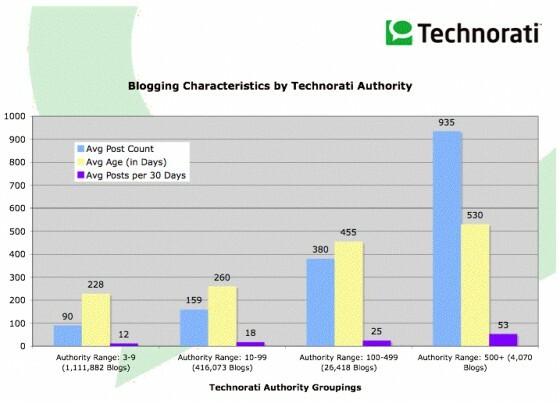 Technorati found that the more frequently you post on your blog and the longer you’ve been blogging the greater the ‘authority’ or potency you have. Authority means you’re more likely to be picked up in searches and Google will be your friend in the organic search world. Are You Selling What Clients Think They're Buying?